This sneaky bird is up to no good and always trying to find his Margaritas! Jay the Parrot is always trying to find his Margarita! We have to keep him away from those frozen concoctions because he keeps sending our customers free stuff! Sure, we love our customers but we cannot give it all away. He is a bit of a bird brain these days since they cut him off at the bar. 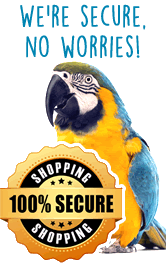 If you are lucky, Jay the Parrot may email you from customer service after a sneak visit to Duval Street. He likes to randomly send out a product or refund customers for no reason. Since he knows how to get in and out of his cage, we never know when he is up to no good. I love my new decals! Thank you!